I'm doing it again this year. 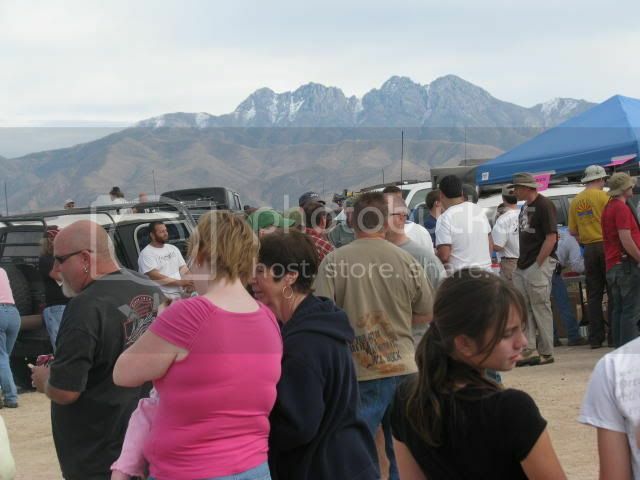 Last year 500 people came out to cleanup 21 tons of trash. With the economy I'm not sure how many will show this year, but feel free to repost this anywhere you can to help spread the word. So soon? It seems like just a few weeks ago I was there for the last one. Believe me, it feels like I just stopped working on the last one. Haha! I recorded a 45 minute spot today about the Four Peaks Pickup. You can listen to it live on the website or by tuning into one of the stations below. Things are coming along. Thanks to Copper State Cruisers and Peter Piper Pizza for lunch!! Give away items are showing up daily. Keep an eye out on Channel 12 News Phoenix over the next couple days. We did an interview with Lin Sue Cooney for a special about the cleanup. 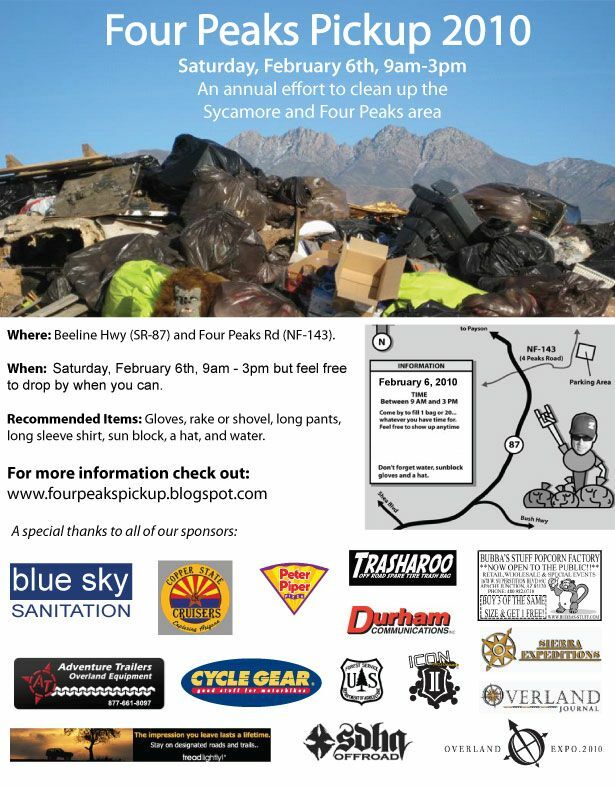 I just heard from Bill Burke who will be at the cleanup to help fill some bags! He is also bringing out a bunch of items for the give away! What a guy. 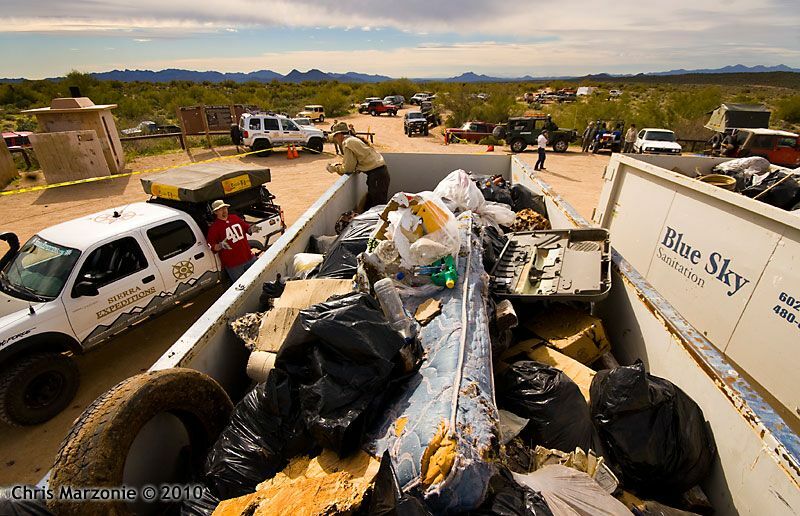 THE CLEANUP IS BEING HELD ABOUT 25 MINUTES FROM PHOENIX, AZ. 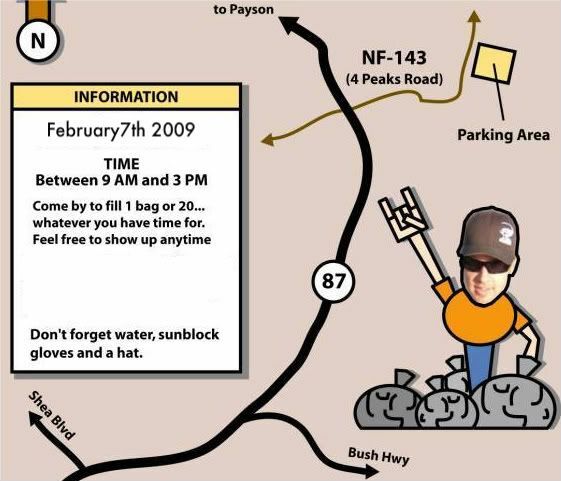 To get to the cleanup head towards PAYSON, AZ on the 87 (Beeline Highway). After you past the bush highway exit look for signs leading you to turn right on FOUR PEAKS RD. The sign in table/headquarters is less than a mile from the highway. 1pm-3pm Hot dogs and pizza will begin being served for lunch. 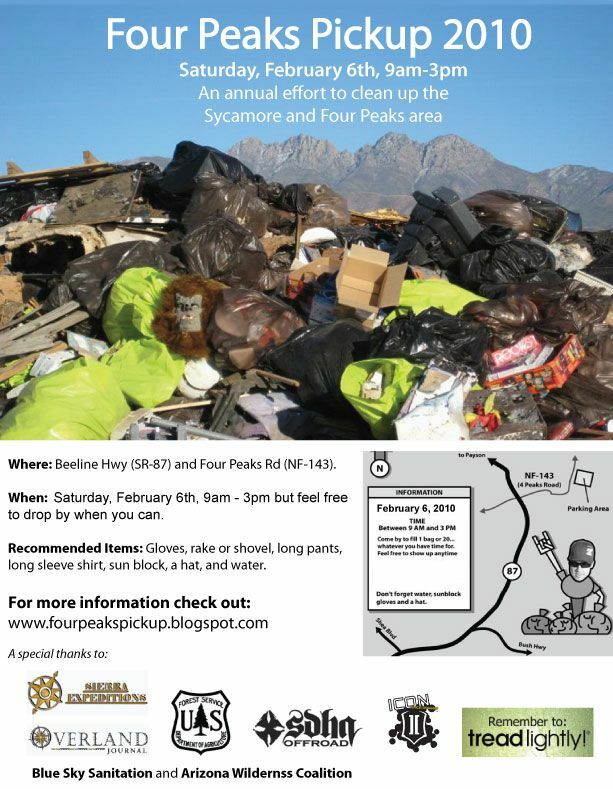 Drop by as you bring a load of trash to the dumpsters. 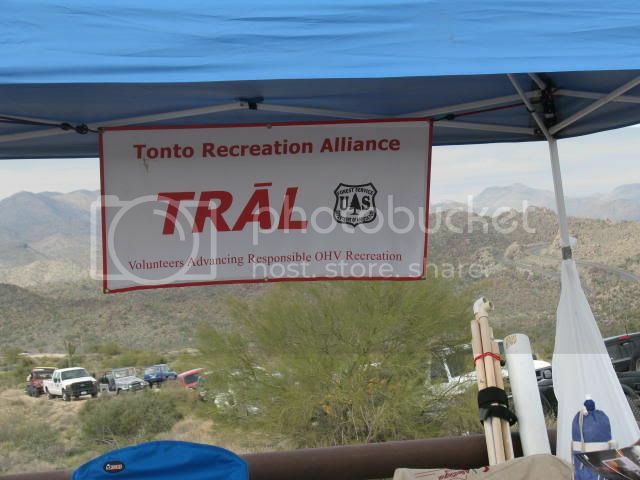 3pm- We will hand out one raffle ticket to EVERY volunteer present for the give away. You must be present and listening to your number being called out to win!! 4pm- We all go home very tired and satisfied with a great day behind us. -Camelback or way to carry water. 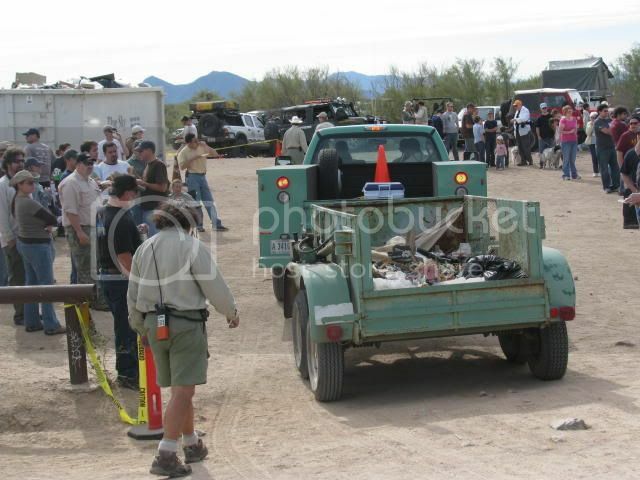 -Pickup truck or trailer to carry trash bags to dumpsters. 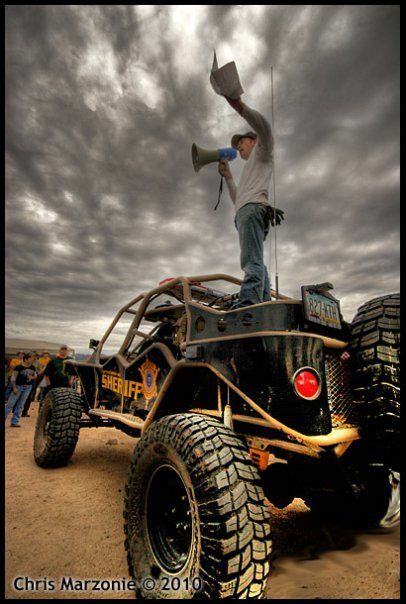 Communication: I will be on CB RADIO Channel 4, FRS Radio Channel 4 and HAM 2 Meter Channel 146.460. P.S. Say hello and thank you to all of our great sponsors like John Hunter for example. 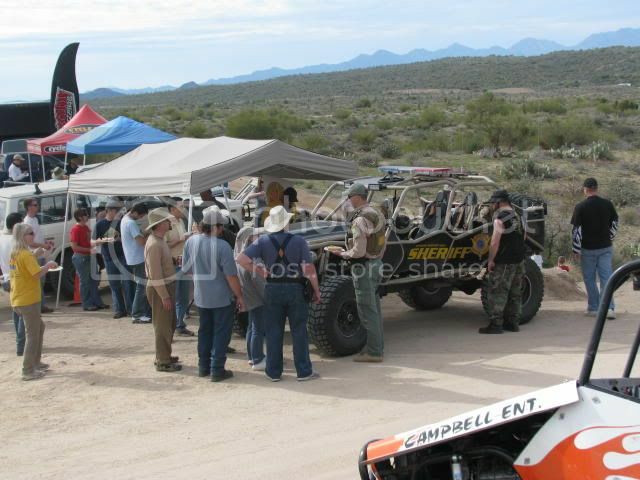 The Arizona OHV Ambassadors will be at Lower Sycamore this Saturday. 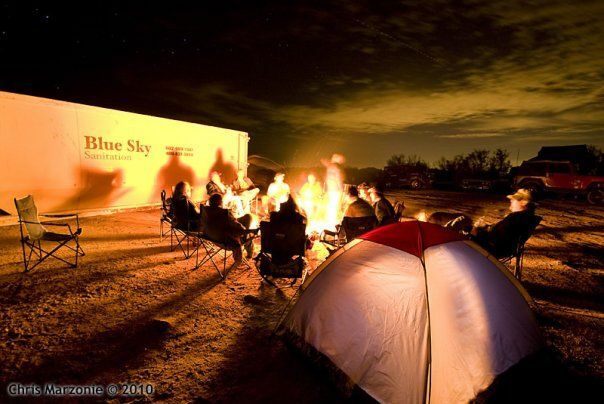 We will be meeting at 9am at the new entrance to Lower Sycamore AZ-87, Exit 199. We will be doing a typical Meet and Greet as well as some trash pick up. 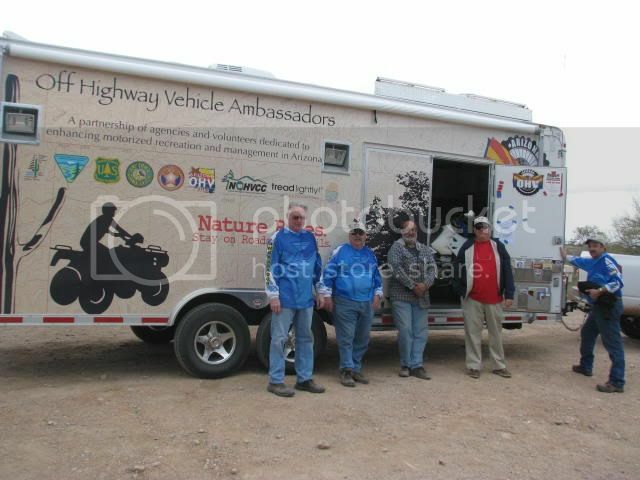 Feel free to bring your vehicles if you wish to ride, or a trailer to haul trash. This event is open to everyone so invite your family and friends! "If you can't fix it with a hammer.....then you have an electrical problem." I'm off to Four Peaks in a bit. I know ABC Print will be there . 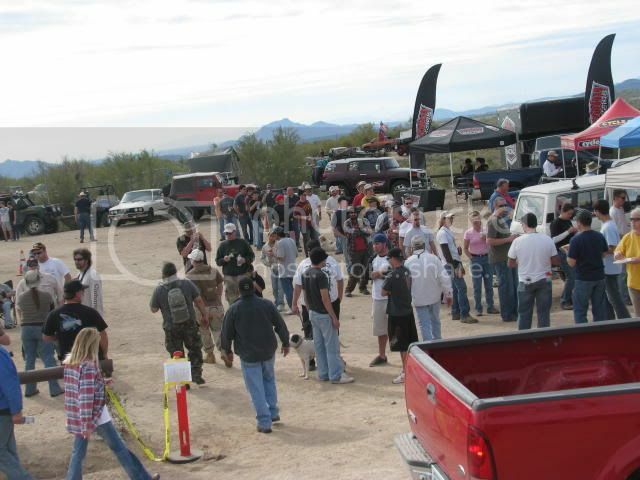 Hope to see more of AZBAJA there today. There was quite a turn out for the cleanup. It was a great effort by many people to get the area looking good again. Well, it was an amazing year again. THANK YOU from Danica and I to all of the many volunteers that came out and the many sponsors that lent a hand in making it so successful this year. 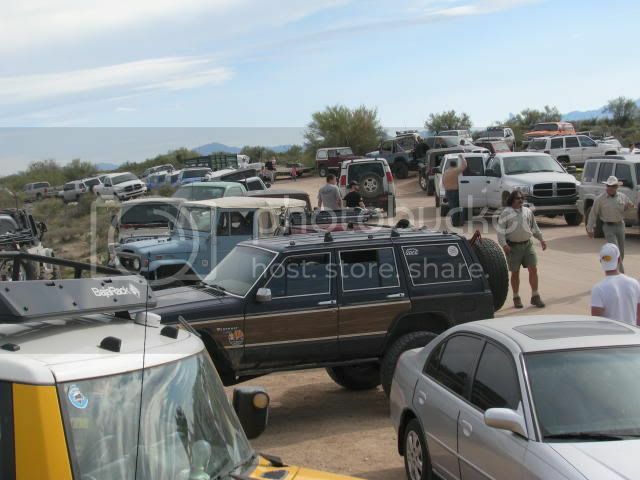 -Just under 500 people came out to make the day a giant step forward to cleaning up our Arizona deserts. -Almost 25 TONS of trash were cleaned up filling 4 and a half large dumpsters!! Big thanks to Lin Sue Cooney and the videographers who put together a follow up to the Four Peaks Pickup which aired last night just after the Olympics! It is nice to see cooperate TV following up on good deeds.